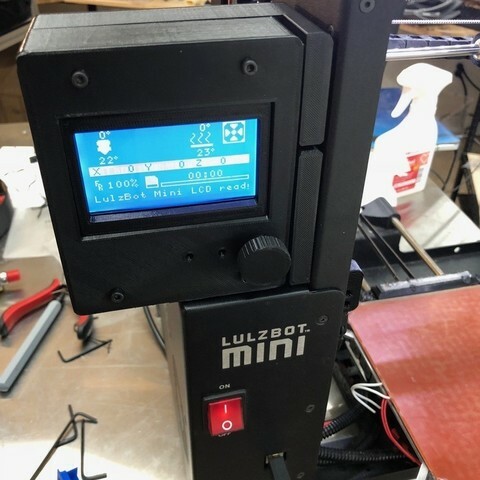 Do you have the Lulzbot Mini LCD upgrade? 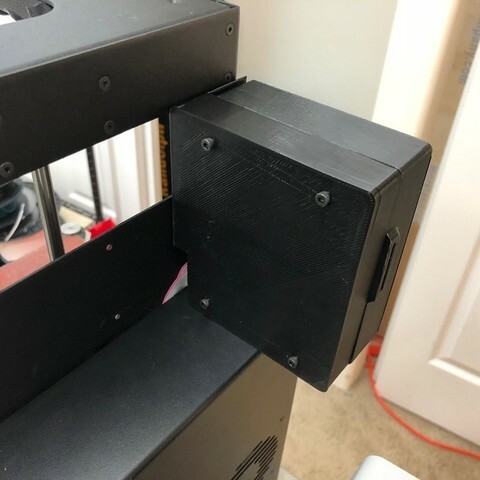 Do you not like the idea of mounting it over the front of the printer covering up the view inside or getting in the way of your enclosure? Well here is the solution for you. This allows you to mount the LCD over the control box to the left and out of the way of the enclosure entirely. It mounts using 2 M3-10 or M3-12 nuts and bolts through existing holes already in the printer. There are two ways to route the ribbon cables. The first is through the top of the electronics enclosure or the better way is out the window and into the case. Then use 3 M3-20 or M3-25 bolts to attach the back to existing holes on the LCD. It covers the wires on the back and gives you plenty of room to hide the extra cable length. Far easier to install and less parts used compared to mounting it on the front right of the printer. 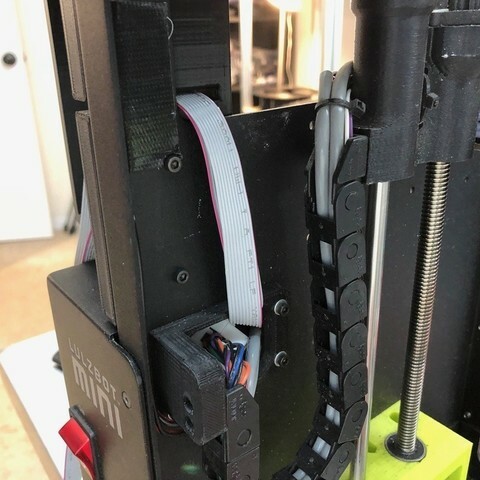 If you have the enclosure you will need to remove the short side panel on the left of the printer. Don't worry, you will still have enough enclosure to keep the space nice and toasty.